As a tax accountant who is currently a stay-at-home mom, I have had quite a few conversations with other moms about their burning tax questions leading up to April 15. Below are a few questions I commonly receive, along with explanations and links to further guidance on each topic. I hope this Q&A helps many families navigate the murky tax law waters on Tax Day 2015. 1. What tax credits, deductions and exemptions am I entitled to the year my baby is born? There are six primary tax benefits of having children that every parent should know. These include the dependent care exemption, the child tax credit, a credit for child care expenses and the earned income credit. Depending on your work and tax situation, you may also be eligible for the medical expense deduction and reimbursements from a flex spending account. Learn more about new baby tax benefits. 2. I put my child in day care so I can work. Are those day care payments deductible? Yes! * You claim these expenses on IRS Form 2441 for a dependent under the age of 13 (or a child for whom you were a custodian, in cases of divorce). If an individual took care of your children instead of a day care, then you will need to get the provider’s social security number to report to the IRS on Form 2441. If it was a business, then you’ll need an employer identification number. Note: If you took advantage of a Flexible Spending Account (FSA) offered by your employer, you will have made pre-tax contributions out of each paycheck into that account. To get that money back (and take advantage of the tax savings), you will need to submit for reimbursement from your FSA. 3. Does sending my child to a summer day camp qualify as a child care expense? Yep! * According to the IRS, summer camp costs are a reasonable child care expense; however, overnight camps are excluded. For the nitty-gritty details and to verify the tax implications of your situation, IRS Publication 503 is what you’ll want to review. 4. Can you still file a paper tax return? Yes! All of the popular tax preparation software programs give you the option to print out filing copies of your federal and state tax returns. Many people simply do this for record keeping, but others do it so they can sign and mail the actual forms to the government. Just make sure you choose “everything needed for filing” or a similar printing option within the software. Otherwise, all the required forms may not print out. If you want to go really old school, you can even download the current year tax forms from the Forms and Publications section of IRS.gov and prepare your returns by hand. Now that’s what I call intense! If you do that, make sure to grab all the accompanying instructions from the website as well. You’ll need the detailed instructions and worksheets to calculate every line properly. Current year tax forms are usually available by late December of the tax year in question (so 2014 tax return forms were available in December 2014 in time for filing in early 2015). 5. What are the tax benefits of opening up a 529 college account for my child? As parents, we know the cost of a single college education is pricey! For a child born today, some estimates have a four-year public education at nearly $200,000. Section 529 college savings accounts, which first appeared in 1996, are one way to offset the cost of higher education. The premise is simple; you contribute after tax dollars to an investment account designated for college, and when you withdraw the money to pay for qualified college expenses, any accumulated earnings on those investments are not taxed. These accounts are state run and most states offer a state income tax deduction (usually $5,000 per individual or $10,000 for married filing jointly) for 529 contributions you make during the calendar year. To learn more about what expenses are eligible for 529 plan reimbursement, see IRS Publication 970. Look for the term “Qualified Tuition Program,” which is the official term for 529 plans. 6. 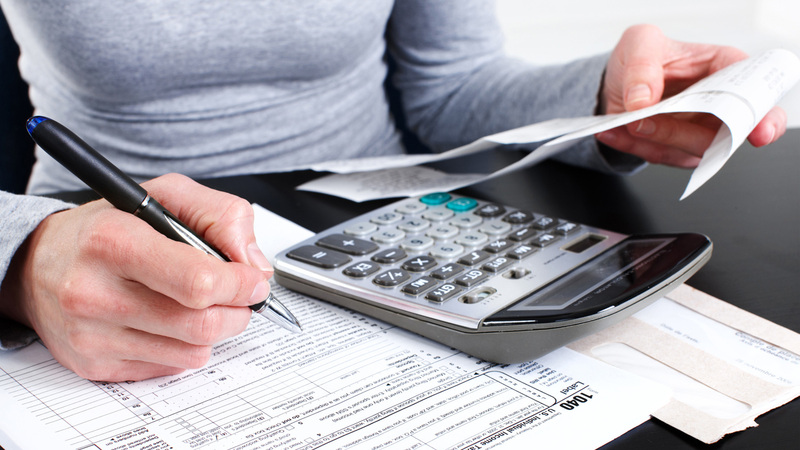 How much does it cost to get your taxes prepared by a CPA? These rates will vary by location and the complexity of your return, but you can generally expect to pay a CPA at least $200 to prepare your return. Additional schedules beyond your basic Form 1040 plus itemized deductions will cost more. 7. How long can my child be my dependent? It’s no secret that kids these days live at home longer and longer. It’s not uncommon for a child to live at home well into their 30s. But just how old can a child be before the IRS stops allowing the parents to claim them on their taxes? The answer: It’s complicated. In general, a dependent must be someone younger than you, unmarried (not filing a joint tax return with someone else) and no older than 19 (or be a student younger than 24). But there are multiple restrictions and exceptions, including an allowance for those who are considered qualifying relatives, regardless of age. All of this is outlined in the lengthy IRS Publication 501. Luckily for you, you can avoid reading that long document by using this handy IRS quiz instead! It will help you determine if the person you want to claim as a dependent is actually qualified. Every deduction, credit or exemption mentioned above is only available to families up to a certain level of income. Where the phase out of each tax benefit begins varies, so make sure to read up on each item before claiming it on your tax return. If you are unsure about your eligibility to claim a tax credit or other tax benefit due to the amount of income you make, it’s always wise to consult a tax advisor who knows your particular set of tax circumstances.